Greyson Michael Chance (born August 16, 1997)  is an American singer, songwriter, and pianist. His April 2010 performance of Lady Gaga's "Paparazzi" at a sixth-grade music festival went viral on YouTube,  gaining widespread attention and over 64 million views as of December 2017, as well as an appearance on The Ellen DeGeneres Show shortly afterward. Two of his original compositions, "Stars" and "Broken Hearts", gained over six and eight million views respectively on his YouTube channel. His debut single, "Waiting Outside the Lines", was released in October 2010. Chance's debut album, Hold On 'til the Night , was released on August 2, 2011. "Paparazzi" is a song by American singer Lady Gaga from her debut studio album, The Fame (2008). It was released as the album's fifth and final single by Interscope Records. Gaga wrote and produced the song with Rob Fusari. The song portrays Gaga's struggles in her quest for fame, as well as balancing success and love. Musically, it is an uptempo techno-pop and dance-pop song whose lyrics describe a stalker following somebody to grab attention and fame. Chance released his second EP, Somewhere Over My Head, on May 13, 2016. The lead single, "Afterlife", was released in October 2015, followed by "Hit and Run" and "Back On the Wall" in February and April 2016 respectively. On March 15, 2019, Chance released his second full-length album Portraits, though Chance views it as his debut because he was more involved in the songwriting process and felt "truly honest and vulnerable" in his work for the first time. The lead single, "Shut Up", was released on February 8, 2019, followed by "Timekeeper" on March 7. Chance was born on August 16, 1997 in Wichita Falls, Texas, and grew up in Edmond, Oklahoma. The youngest child of Scott and Lisa Chance, he has an older sister, Alexa, and an older brother, Tanner, both of whom also make music. Chance began playing the piano at age 8 and had three years of piano lessons. Wichita Falls is a city in and the county seat of Wichita County, Texas, United States. It is the principal city of the Wichita Falls Metropolitan Statistical Area, which encompasses all of Archer, Clay, and Wichita Counties. According to the 2010 census, it had a population of 104,553, making it the 38th-most populous city in Texas. In addition, its central business district is 5 miles (8 km) from Sheppard Air Force Base, which is home to the Air Force's largest technical training wing and the Euro-NATO Joint Jet Pilot Training program, the world's only multinationally staffed and managed flying training program chartered to produce combat pilots for both USAF and NATO. Chance's "Paparazzi" cover video was posted to YouTube, on April 28, 2010, and for almost two weeks the video generated low views. At least two social websites, GossipBoy.ca and reddit.com, posted video embeds on May 10, 2010. The next morning, it was embedded on RyanSeacrest.com, which reported finding the video via BuzzFeed, a website that attempts to track and predict emerging viral internet memes. Later in the day, TVGuide ,  The Huffington Post ,  and Yahoo! Music's video blog, Video Ga Ga,  also posted articles embedding the video; TVGuide mentioned in its article that a Facebook fan page had already been started for Chance. That afternoon, Ryan Seacrest and Ellen DeGeneres linked the video on their Twitter accounts,   as did celebrity Ashton Kutcher  later that evening. Julian LeBlanc is a Canadian actor, producer, dancer, and entertainment personality. Lila Diane Sawyer is an American television journalist. Greyson at the film premiere of Harry Potter and the Deathly Hallows – Part 2 in July 2011. His debut single, "Waiting Outside the Lines", was released to iTunes on October 26, 2010. It was released digitally in the UK on December 9. The single also contained a remix featuring Filipina singer Charice, as well as studio versions of his covers of Lady Gaga's "Paparazzi" and "Fire" by Augustana. Throughout December, Chance appeared at We Day 2010 in downtown Toronto at the Air Canada Centre, where he performed the latter,  and visited both Paris and London, appearing on local radio stations and giving private concerts in both cities. On February 5, 2011, Greyson Chance entered the National spotlight again with an appearance/performance of "Waiting Outside the Lines" on CBS's Early Show, while stopping through New York on Miranda Cosgrove's Dancing Crazy Tour. He then started the Waiting 4U tour with Australian pop/R&B singer Cody Simpson on April 9 in Ivins, Utah. The tour ended on May 18, 2011, in Portland, Oregon. On September 15, he again appeared on The Ellen DeGeneres Show to talk about his album, and also revealed that he had taken his first steps into acting, portraying a younger version of Jimmy Chance, the protagonist of Fox's comedy Raising Hope , in the series' second-season premiere. The episode aired on September 20, 2011. Before the release of Somewhere Over My Head, from January 27 to February 1, 2016, Chance performed three shows in Los Angeles, Chicago and New York City. He had a release party of his new EP in YouTube Space LA on May 13, 2016. And on May 28–29, he had another two shows after the release of the EP in San Francisco and Seattle. In February 2016, he was picked as Elvis Duran's Artist of the Month and was featured on NBC's Today show hosted by Kathy Lee Gifford and Hoda Kotb and broadcast nationally where he performed live his single "Hit & Run". On September 15, 2016, Frank Pole released a song titled "Anything" which featured Chance. On December 23, 2016, Chance released a song called "London". On May 6, 2017, Chance is also featured on Fabian Mazur's song called "Earn It". On May 12, 2017, Chance's cover of "Hungry Eyes" was released as part of the soundtrack album for the television film remake of Dirty Dancing. On June 30, 2017, Chance released a song called "Seasons". On December 8, 2017, Chance released his single "Low," and on May 4, 2018, he released his single "Lighthouse", collaborating with Danish-American DJ & music producer Fabian Mazur. Another single was released on June 8, 2018 called "Good As Gold". "Telephone" is a song recorded by American singer Lady Gaga for her third EP, The Fame Monster (2009). The song features American singer Beyoncé. The song was written by Gaga, Rodney Jerkins, LaShawn Daniels, Lazonate Franklin and Beyoncé. Inspired by her fear of suffocation, Gaga explained that the lyrics preferring relaxing on the dance floor to answering her lover's phone call are a metaphor, the phone calling her representing the fear of not having worked hard enough to succeed. Originally, Gaga wrote the song for Britney Spears, who recorded a demo. Musically, "Telephone" consists of an expanded bridge, verse-rap and a sampled voice of an operator announcing that the phone line is unreachable. Beyoncé appears in the middle of the song, singing the verses in a rapid-fire way, accompanied by double beats. eleveneleven was a record label founded in 2010 by Mike Hamlin, Ellen DeGeneres and her production company, A Very Good Production, in association with longtime affiliate Warner Bros. DeGeneres announced it on her show saying that the label would concentrate on lesser known artists and that she had been looking for videos of performances on YouTube. DeGeneres explained her choice of name, claiming that she often sees the number 11:11 when looking at her clocks, that she found Greyson Chance on the 11th, and that the singer's soccer jersey has the number 11. All of the artists on the label have, thus far, been distributed via Interscope Geffen A&M. "Waiting Outside the Lines" is the debut single of American pop rock singer Greyson Chance. The song was written by Aaron Michael Cox and produced by Da Internz and Ron Fair. It was released exclusively to iTunes on October 26, 2010. The CD single was later released on December 14, 2010 under eleveneleven, Maverick Records, and Geffen Records. It also contained a studio version of cover hits from Lady Gaga and Augustana. The official remix features vocals from Filipina pop and R&B singer Charice. "Dancing Crazy" is a song by American recording artist Miranda Cosgrove. It was co-written by Avril Lavigne, Max Martin and Shellback and was produced by Martin and Shellback for Cosgrove's second extended play (EP) High Maintenance, released on March 15, 2011. The song made its premiere on December 15, 2010, before being released digitally on December 21, 2010 as the lead single from the EP. The lyrics of the song deal mainly with Cosgrove and her friends just going out, partying, and having a good time with one another. "You and I" is a song written and recorded by American singer Lady Gaga, taken from her second studio album, Born This Way (2011). She also co-produced it with Robert John "Mutt" Lange. The track samples Queen's "We Will Rock You" (1977) and features electric guitar by Queen's Brian May. 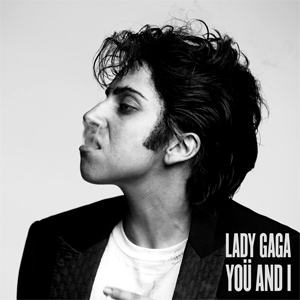 Gaga debuted "You and I" in June 2010 during her performance at Elton John's White Tie and Tiara Ball. Footage of the performance appeared on the Internet, and positive response encouraged her to include the song on her setlist for The Monster Ball Tour. She later performed the song on Today to a record crowd in July 2010, and on The Oprah Winfrey Show in May 2011. On August 23, 2011, Interscope released the song as the fourth single from the album. George Virden Watsky, known professionally as Watsky, is an American hip hop artist, author, and poet from San Francisco, California. Watsky performs slam poetry, and was featured on Season 6 of Russell Simmons Presents Def Poetry on HBO. His talents began to receive national and international acclaim in 2006 when he was the Youth Speaks Grand Slam Poetry Champion, and was also named Brave New Voices International Poetry Slam Champion. High Maintenance is the second extended play by American actress and singer Miranda Cosgrove. It was released on March 17, 2011 by Columbia and Epic Records. The EP was preceded by the release of its lead single, "Dancing Crazy", which was co-written by Avril Lavigne and produced by Max Martin and Shellback. The single became Cosgrove's first to chart on the Top Heatseekers chart, peaking at number 21, and peaked at number 100 on the Billboard Hot 100 chart in the United States. Musically, High Maintenance mainly incorporates the dance-pop and pop rock genres, with some electropop influences. Maria Lourdes Aragon is a Canadian singer of Filipino descent. Aragon gained fame after a YouTube video of her performing Lady Gaga's "Born This Way" went viral. 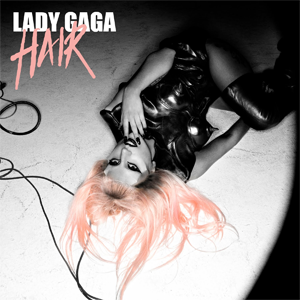 "Hair" is a song recorded by American singer Lady Gaga for her second studio album, Born This Way (2011). Written and produced by herself and Nadir "RedOne" Khayat, "Hair" was released worldwide digitally on May 16, 2011, as a promotional single from the album, as part of the iTunes Store's "Countdown to Born This Way" release. This was after the previous promotional release, "The Edge of Glory", was made the third single from the album. Nevertheless, Gaga explained that "Hair" was not planned to be a single, but may be made one if it sold well like "The Edge of Glory". 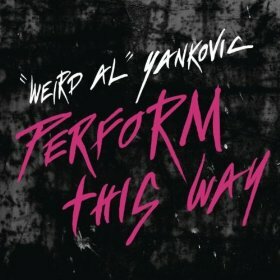 "Perform This Way" is a song parody by American musician "Weird Al" Yankovic. It is a parody of "Born This Way" by Lady Gaga. The lyrics are told from the point of view of Gaga and describe her performance style and fashion sense. The song is the sixth single from Yankovic's 2011 album Alpocalypse, and all the proceeds were donated to the Human Rights Campaign charity. Gaga herself has praised the work and has additionally described herself as a "Weird Al" fan. The song entered and peaked at number six on the Comedy Digital Tracks chart of Billboard, remaining for a total of eight weeks. Waiting 4U Tour was a co-headlining concert tour by Australian singer Cody Simpson and American singer Greyson Chance. The tour was launched to promote Simpson's debut EP 4 U (2010), and to gain interest and publicity for Greyson Chance. Both singers revealed the announcement of the tour on March 10, 2011 during a live chat with fans on Ustream. Hold On 'til the Night is the debut studio album by American singer Greyson Chance. The album was released on August 2, 2011 by eleveneleven, Maverick Records, Streamline Records and Geffen Records. Chance's album is the first to be released on Ellen DeGeneres' record label eleveneleven. The album's release was preceded by two singles, "Waiting Outside the Lines" and "Unfriend You". The album was recorded in Los Angeles and produced by The Matrix, Billy Steinberg and Ron Fair. Austin Harris Mahone is an American singer and songwriter. Mahone gained popularity when his covers became very popular on YouTube. He is currently signed to Atlantic Records as of 2019. Trisha Kay Paytas is an American YouTuber and media personality. Born in Riverside, California, Paytas was raised in Illinois before relocating to Los Angeles in her teens. After moving, Paytas became a stripper and began acting on the side, primarily as an extra. She made over 45 television appearances and appeared in a number of music videos for artists including Eminem and Amy Winehouse. In 2006, Paytas created blndsundoll4mj, a lifestyle-oriented YouTube vlog channel. Following the success of several viral videos, Paytas garnered a significant following, reaching 100,000 subscribers in 2012 and 1,000,000 in 2014. As of March 2019, she has accumulated roughly 4.8 million subscribers and roughly 1.5 billion lifetime views. Jordan Jansen is an Australian pop singer from Gold Coast, Queensland. 1 2 "21 Under 21: Greyson Chance". Billboard . Prometheus Global Media. September 23, 2010. Retrieved January 2, 2011. 1 2 "Greyson Chance : Biography". Greyson-official.com. Archived from the original on December 18, 2010. Retrieved January 2, 2011. 1 2 3 "Little Lord Gaga: Greyson Michael Chance's "Paparazzi" Is A Web Sensation". Yahoo! Music. May 11, 2010. Archived from the original on May 28, 2010. ↑ "Greyson Chance's YouTube channel" . Retrieved February 2, 2011. ↑ @Spotify (March 17, 2019). ""The way I see it, portraits is my debut, for it's the first time that I've been truly honest & vulnerable in my work." - @greysonchance on his new album portraits. Listen now  spoti.fi/2u953Ug" (Tweet). Retrieved March 18, 2019– via Twitter. ↑ "Justin Bieber Look-alike Plays Lady Gaga's 'Paparazzi', RyanSeacrest.com, May 11, 2010. ↑ "Sixth Grader Wows Crowd with Lady Gaga Cover", TV Guide, May 11, 2010. ↑ "13-Year-Old's 'Paparazzi' Cover Woos The Ladies", The Huffington Post, May 11, 2010. ↑ Seacrest, Ryan [@RyanSeacrest] (May 11, 2010). "u cant really go wrong singing @ladygaga with a @justinbieber haircut: bit.ly/9ZzKLr" (Tweet). Retrieved April 4, 2019– via Twitter. ↑ DeGeneres, Ellen [@TheEllenShow] (May 11, 2010). "Never been more excited to have someone on my show. This is a 12-year-old 6th grader. He'll be on Thursdays show. Enjoy bit.ly/bAjxC1" (Tweet). Retrieved April 4, 2019– via Twitter. ↑ Kutcher, Ashton [@aplusk] (May 11, 2010). ""Watch the 1 girl in the back row that realizes she's witnessing a future superstar in the making AMAZING-> bit.ly/b8Ie3M" (Tweet). Retrieved April 4, 2019– via Twitter. ↑ "See Greyson Chance at Home", EllenTV.com, May 25, 2010. ↑ "Ellen DeGeneres Starts Record Label Just to Sign Greyson Chance" People.com, May 26, 2010. ↑ "Greyson Chance's Unbelievable Performance", EllenTV.com, May 12, 2010. ↑ "Lady Gaga Fan Greyson Michael Chance to Perform on Ellen", Wall Street Journal blog, May 12, 2010. ↑ "Paparazzi prodigy Greyson Michael Chance booked by Ellen", latimesblogs.latimes.com, May 12, 2010; accessed July 7, 2015. ↑ "Clip from the Future: 12-year-old Web Sensation Greyson Chance performs on The Ellen DeGeneres Show, EllenTV.com, May 12, 2010. ↑ "Lady Gaga phones 12-year-old YouTube star", BBC News. May 14, 2010. ↑ "Prodigy Greyson Michael Chance on Ellen – Lady Gaga's Paparazzi". National Ledger. Phoenix AZ. May 13, 2010. Archived from the original on May 16, 2010. Retrieved May 19, 2010. ↑ "6th Grader Takes Chance, Becomes Sensation", ABC World News, May 12, 2010. ↑ "Greyson Chance performs on The Ellen DeGeneres Show, EllenTV.com. May 13, 2010. ↑ "Greyson Michael Chance Rocks Ellen", CBS News, May 13, 2010. ↑ "Is Greyson Chance the Next Justin Bieber (or Lady GaGa)?" Archived 2010-05-16 at the Wayback Machine , People, May 13, 2010. ↑ Seacrest, Ryan [@RyanSeacrest] (May 13, 2010). "this kid just keeps getting better! 12 yr old video star Greyson Chance performs on @theellenshow: bit.ly/9pmg1z" (Tweet). Retrieved April 4, 2019– via Twitter. ↑ Archuleta, David [@DavidArchie] (May 14, 2010). "Freak this kid is talented! Have you seen this yet?www.youtube.com/watch?v=EouY0YYbJSs&feature=popt00us00" (Tweet). Retrieved April 4, 2019– via Twitter. ↑ "The OFFICIAL MySpace Page of Greyson Chance! ", Greyson Chance on Myspace, May 15, 2010. ↑ Chance, Greyson [@greysonchance] (May 15, 2010). "My first tweet! Thanks for all the support, follow me here so I can keep you updated on everything!" (Tweet). Retrieved April 4, 2019– via Twitter. ↑ "Interscope sign YouTube Star", CrazedHits.com, May 15, 2010. ↑ Williams, John A. (May 15, 2010). "Gaga songsters parents put brakes on fame for now", The Oklahoman (Oklahoma City). ↑ Kemp, Adam; Li, David K. (May 18, 2010). "Gaga over kid singer: Label signs Lady Lovin Web Phenom, 12", New York Post. ↑ "A Message from Ellen", EllenTV.com. May 25, 2010. ↑ "Video of the Day: Greyson Chance Returns to 'Ellen'" EllenTV.com, May 26, 2010. ↑ "Ellen Explains Her New eleveneleven Record Label" EllenTV.com, May 28, 2010. ↑ Herrera, Monica (June 4, 2010). "Search on for the next Justin Bieber", Toronto Star. ↑ Goodale, Gloria (May 15, 2010). "Is Greyson Chance's Serendipitous YouTube Rise a Ruse? ", The Christian Science Monitor (Boston MA). ↑ Goodale, Gloria (May 18, 2010). "Greyson Chance: What is real in an age of media manipulation? ", The Christian Science Monitor (Boston MA). ↑ "Is Greyson Chance Manufactured? ", ITN News on YouTube, May 18, 2010. ↑ "Waiting Outside the Lines – EP by Greyson Chance on iTunes". iTunes. ↑ "Home". Free The Children. May 21, 2010. Retrieved December 18, 2010. ↑ "Greyson Chance – Live – Paparazzi de Lady Gaga – Le 6/9 NRJ" December 10, 2010 Archived December 14, 2010, at the Wayback Machine . Le-6-9.nrj.fr. Retrieved on 2012-08-22. ↑ "Greyson Chance on BBC Radio" December 12, 2010 Archived December 19, 2010, at the Wayback Machine . Greysonchanceweb.com (2010-12-12). Retrieved on 2012-08-22. ↑ iTunes – Unfriend You. Itunes.apple.com. Retrieved on 2012-08-22. ↑ Greyson Chance 2nd Day of UnFriend You Video Shoot with Ariana Grande July 13th 2011 – Greyson Chance What's New! – Greyson Chance Fans | Fan Site Blog. Greyson Chance Fans (2011-06-14). Retrieved on 2012-08-22. ↑ The Ellen DeGeneres Show, Thursday September 15, 2011; Episode: Eva Longoria/Greyson Chance. ↑ "Najwa Latif & Greyson Chance LIVE On AIM 18 2011". YouTube. 2011-11-14. Retrieved 2014-07-26. ↑ Maketab, Hanis (November 19, 2011). "SHOWBIZ: Chance encounter". New Straits Times. Kuala Lumpur. Archived from the original on December 12, 2011. Retrieved December 13, 2011. ↑ "Greyson Chance to perform here on Nov 13". My Paper. Singapore. November 2, 2011. Retrieved December 13, 2011. ↑ Belmonte, Maureen Marie (November 21, 2011). "Greyson on seizing that 'Chance' of a lifetime". Manila Bulletin. Archived from the original on November 23, 2011. Retrieved December 13, 2011. ↑ "Hold On 'Til The Night (CD+DVD Special Asia Edition): Greyson Chance". Amazon. ↑ Nan, Chen (August 31, 2012). "Young heartthrob remains down to earth". China Daily. Retrieved October 27, 2012. ↑ "Temptation – Greyson Chance". Soundcloud. ↑ "Thrilla in Manila – Single by Greyson Chance on iTunes". iTunes. ↑ Chance, Greyson [@greysonchance] (March 24, 2015). "'Meridians' now available on iTunes worldwide! Grab yourself a copy! itun.es/us/nNIr6" (Tweet). Retrieved April 4, 2019– via Twitter. ↑ "Afterlife – Single by Greyson Chance on iTunes". iTunes. ↑ "Hit & Run – Single by Greyson Chance on iTunes". iTunes. ↑ "Back On the Wall: Greyson Chance". Amazon. ↑ "Somewhere Over My Head: Greyson Chance". Amazon. ↑ "Greyson Chance – Tickets – Troubadour – Los Angeles, CA, January 27, 2016 | Ticketfly". www.ticketfly.com. Retrieved 2016-08-06. ↑ clubtix.com, IMH :. "Welcome To CLUBTIX Online Event Ticketing". www.clubtix.com. Retrieved 2016-08-06. ↑ Chance, Greyson [@greysonchance] (February 19, 2016). "Oceans is out today!!! If you need a summer jam... we got you You can buy on iTunes here: itun.es/us/5Jywab" (Tweet). Retrieved August 6, 2016– via Twitter. ↑ Chance, Greyson [@greysonchance] (June 29, 2016). "ASIA: thank you for an awesome trip, it has been real. I'm so glad that you like SOMH; I'm immensely grateful. Now...  USA" (Tweet). Retrieved August 6, 2016– via Twitter. ↑ "Greyson Chance Releases First Album in 8 Years, 'Portraits': Listen". Billboard. Retrieved 2019-03-19. ↑ Chance, Greyson (July 19, 2017). "The decision to write this came after I received a message from a brave individual. Such message inspired me to shed light on an aspect of my private life which I have kept distant from my career in music. I came to fully recognize that I was gay when I was sixteen. I decided not to publicize my sexuality largely due to a matter of privacy, as I was still trying to find comfort and confidence within my own skin. Further, I always found conversations regarding music, politics, art, books – and the greatness of Nas' catalog – to be far more interesting than what type of guy I was into. This is still true today. While this message is most definitely overdue, I encourage anyone who is navigating their sexuality to devote as much time as they need to the process of finding self-confidence, self-acceptance, and self-love. Hell, for me, it took years to write this message. Nevertheless, I figured now was the time to let a few more friends know that I am happy, I am here for you, and I am proud of who I am. Cheers -G" – via Instagram. ↑ Kaufman, Gil (July 20, 2017). "Former YouTube Star Greyson Chance Comes Out". Billboard. Archived from the original on July 21, 2017. Retrieved October 18, 2018. ↑ "Greyson Chance – Chart history". Billboard. Retrieved 2014-07-26. ↑ Box, Bobby. "At 21, Greyson Chance Is Back From Retirement And Ready For Redemption". Billboard. Retrieved March 14, 2019. 1 2 "Discografie Greyson Chance". ultratop.be (in Dutch). Hung Medien. Retrieved July 3, 2014. ↑ Gottlieb, Steven (May 20, 2011). "Video Static: Music Video News: IN PRODUCTION: Greyson Chance – Marc Klasfeld, dir". Video Static. Retrieved July 17, 2011. ↑ Golby, Joel (2013-05-07). "GALLERY: Check out all of heat's Twitter Awards winners!" . Retrieved 17 June 2013.